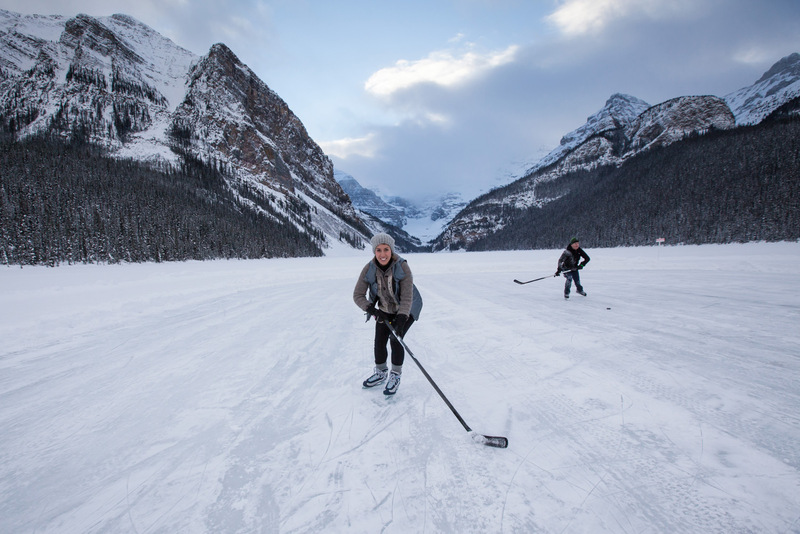 Ice hockey and ice skating on Lake Louise. Banff is an Alberta wilderness town punching way above expectations, with all the creature comforts you need. The town, with a population of only about 10,000 people, is filled with cafés, restaurants, galleries, shops and accommodation from castle-like hotels to affordable backpacker beds. Set in Banff National Park, it’s surrounded by pristine mountain terrain, where moose and elk roam. These ungulates can even be seen in town from time to time, so don’t be surprised if you’re suddenly sharing the footpath with one. Banff is also the gateway to Lake Louise, Sunshine Village and Mount Norquay ski areas, totalling more than 3000 hectares of terrain. Anyone with a love of the outdoors will be in his or her element here, summer and winter. 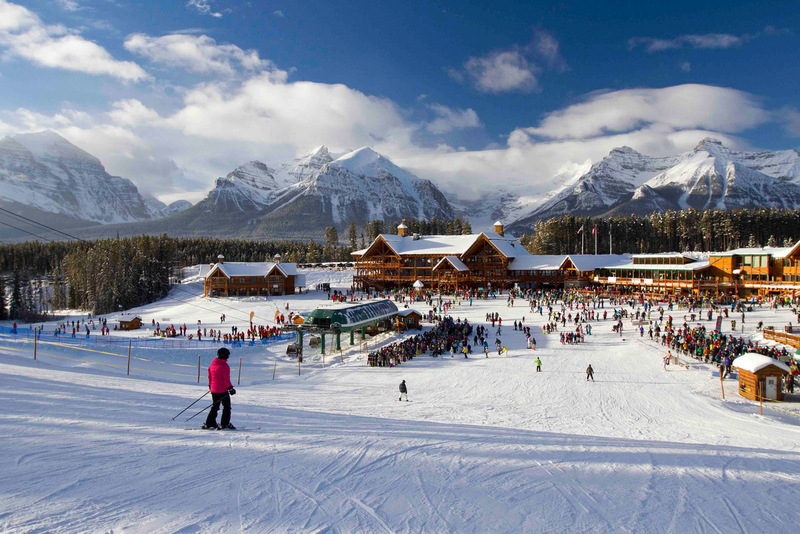 Skiers and snowboarders can choose from the three mountains, with frequent shuttles operating to each – Mount Norquay is six kilometres from Banff, Sunshine 15 kilometres, and Lake Louise 57 kilometres. 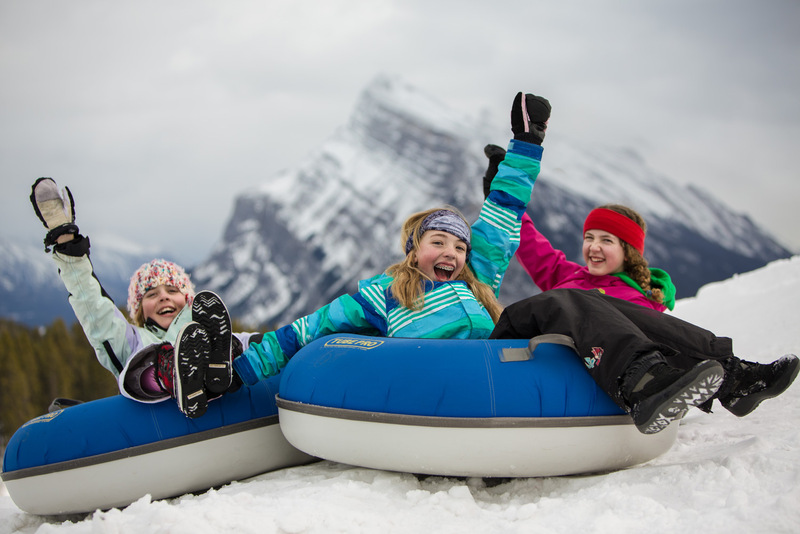 Families wanting to mix some snow sports with non-ski activities will also find appeal in a Banff holiday. 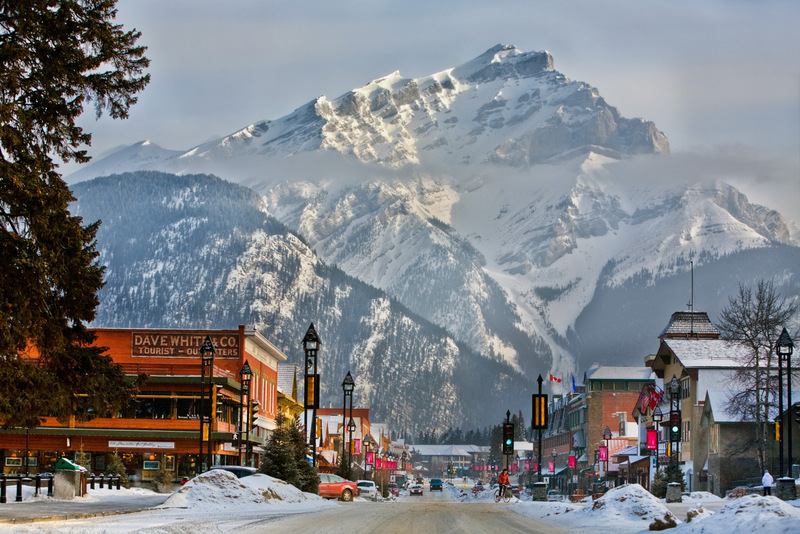 Stroll along Banff Avenue, the town’s main street, and enjoy the cafés, galleries and outdoor shops. Be sure to try poutine, a Canadian favourite of chips smothered in gravy and cheese curds, which appears on menus all over the place. Work it off with a good session on the ski slopes. 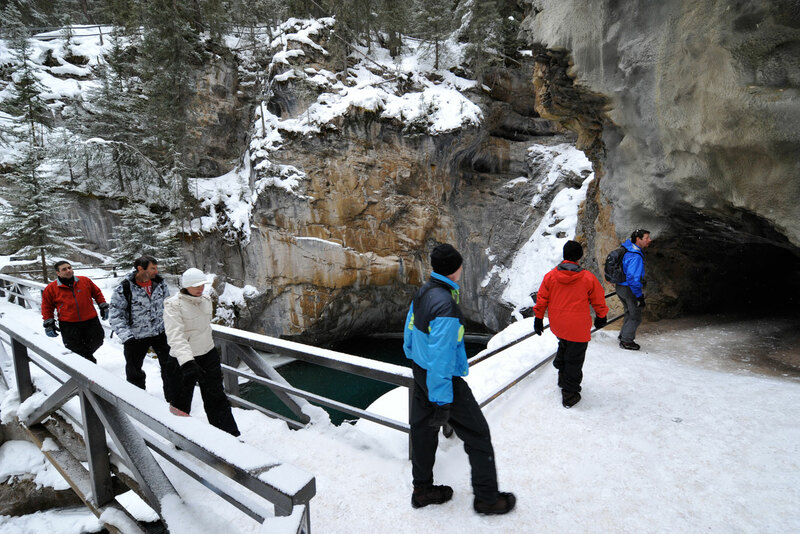 Take an ice walk in a frozen canyon (such as Johnston Canyon), where you’ll see icicles and frozen waterfalls. Watch the Banff Mountain Film Festival, an annual collection of inspiring short stories about expeditions and adventures. It screens in Banff before the snow season; however, you can even see it in Australia during its world tour. Wild Flour is an organic artisan bakery, in Bear Street, that opens at 7am. Have breakfast there or stock up for the day with delicious breads, pastries and sandwiches. Bread specials include beer and rye loaves, or walnut and cranberry rye, while the focaccia and soups are recommended for lunch. The Banff Tea Co. in Caribou Street (gotta love the street names) stocks exclusive blends like ‘Black Bear’, a fruit-filled black tea, and gives 25 per cent of its profits to charity. When travelling along the Trans Canada Highway, take note of the overpasses. Not many visitors realise they are for wildlife. The overpasses are paired with fencing so animals get funnelled across the highway safely. 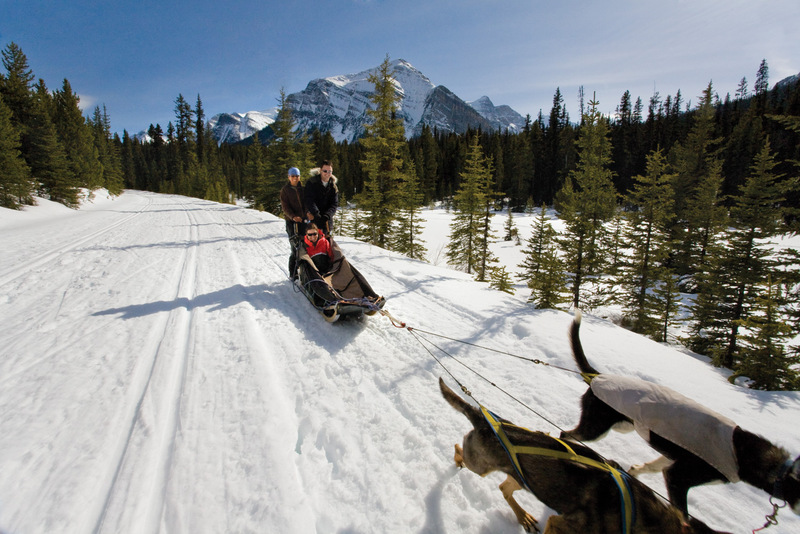 All the regular Canadian winter activities of snowshoeing, snowmobiling, dog sledding, wildlife viewing and ice-skating are available in abundance. 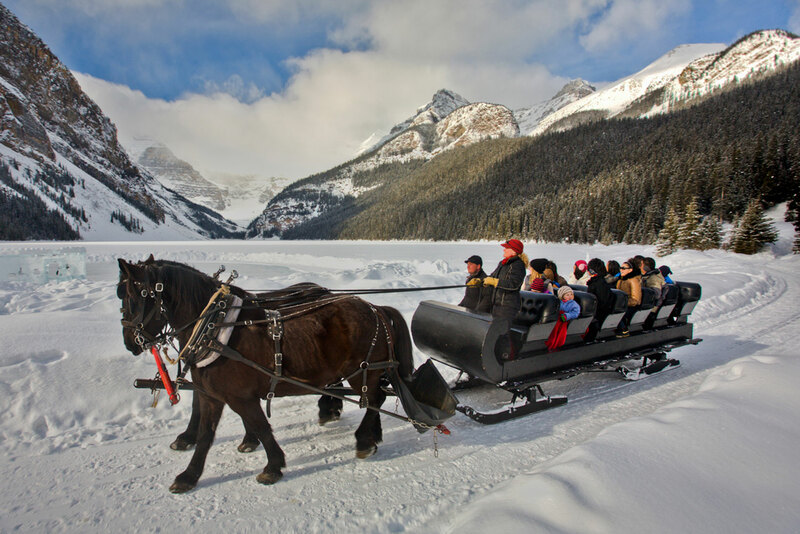 Try ice-skating on the frozen lake outside Chateau Lake Louise – rental skates are available and the ice is groomed. Soak your aches away in an outdoor pool at the Canadian Rockies Hot Springs. Get your arts and culture fix at the Banff Centre, which is home to the annual film festival, as well as dance, music and theatre performances. 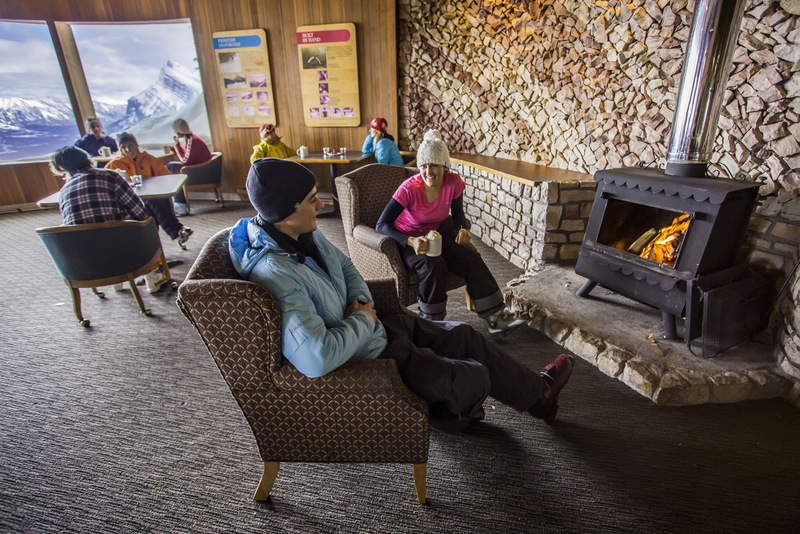 Mount Norquay’s Cliffhouse Bistro is a renovated 1950s teahouse, perfect for lunch in a retro setting with the best views of Banff. You’ll have to ride the chairlift to get to the bistro. In town, go to the Maple Leaf Grill for a tasting tour of Canada that can include a platter of game, local salmon and Alberta bison tenderloin. The café culture is alive and well; try the highly rated Whitebark Café for starters. Have a fun night out at High Rollers, a six-lane bowling alley with good pizzas and about 50 craft beers on tap. There are also spa and wellness centres and multiple museums to visit. If you’re feeling active, take the kids snow tubing, or try your hand at guided ice-climbing. If you have a tri-area ski ticket there are some good après deals for each day of the week, such as 20 per cent off food at the Banff Avenue Brewing Co. on Wednesdays (see skibig3.com for all the deals). The Bear Street Tavern is excellent for beers and flatbread pizza, the Park Distillery has a a great vibe, and High Rollers, as above, are all good options to kick up your heels. 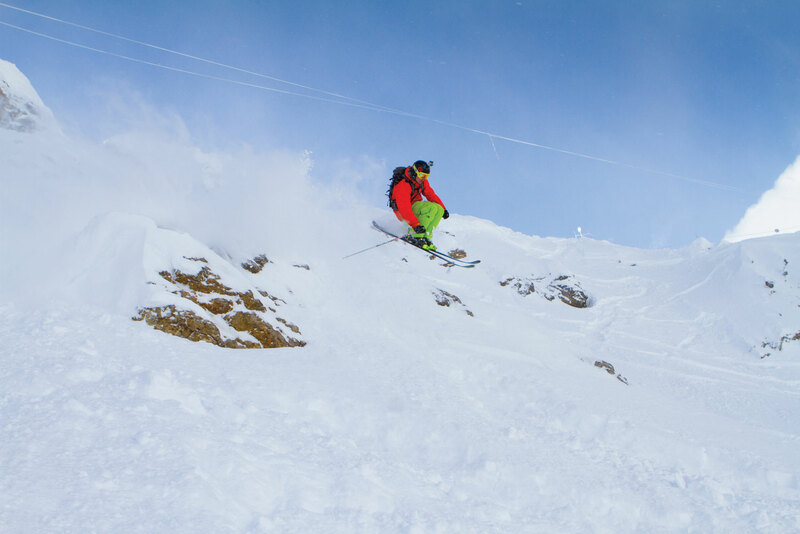 Delirium Dive at Sunshine, which provides some of the most challenging inbounds terrain available. It requires an expert skill set and, before you’re even allowed to go into this vast freeride area, you’ll need an avalanche transceiver, a shovel and a buddy. Once you’ve passed the rope line, there’s a 40-degree lip to negotiate before you get going in the double-black-diamond terrain. There’s easier going at Sunshine’s South Divide, a corduroy cruiser that will have you zigzagging between Alberta and British Columbia. 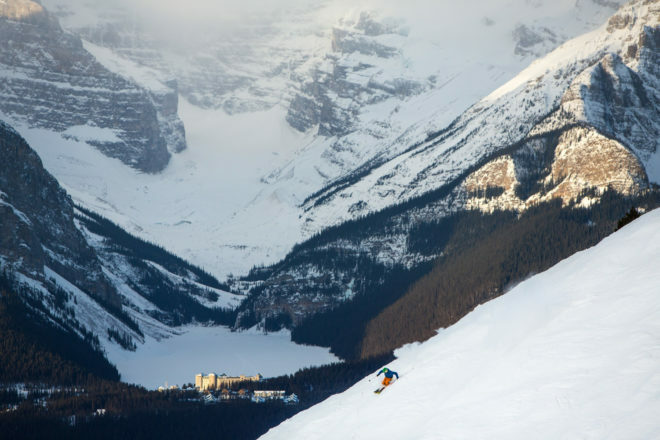 At Lake Louise, cruiser heaven is found on the Larch run. 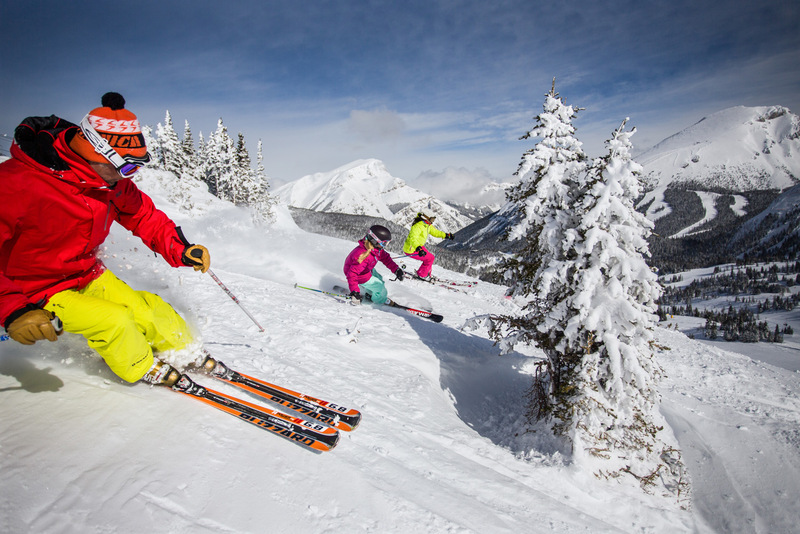 Mount Norquay is smaller than its sister resorts, however its Lone Pine run is a leg-burner that is one of the best bumps runs around. The Lake Louise Showtime Terrain Park is one of the largest in western Canada. It has jumps, rails, boxes and distinct lines for beginners, intermediates and experts. It usually opens in December or January, on Easy Street. If you’re there ahead of opening, the resort sets up temporary smaller terrain parks. At Sunshine, Rogers Terrain Park has more than 50 features when fully operational. One of the cheapest deals you’ll find, and there’s even free wi-fi. From $C32 per night in a dorm room. Moves up the scale, but is still affordable. From $C109 per night (shoulder season). Choose from hotel rooms, condo-style units and some cottages. A comfy choice, with 343 cosy rooms. Enjoy a great spot right in the middle of town. In a quiet spot on Tunnel Mountain, close to downtown, with indoor and outdoor hot tubs. They throw in breakfast and local calls, heated underground parking, wi-fi, and access to the fitness room and hot pool. Every self-catering condo has a fireplace, and the outdoor hot tubs sit on the ridge for a great view. For luxury accommodation, find out more about Chateau Lake Louise and Banff Springs Hotel in our story on Canada’s most luxurious winter lodges.